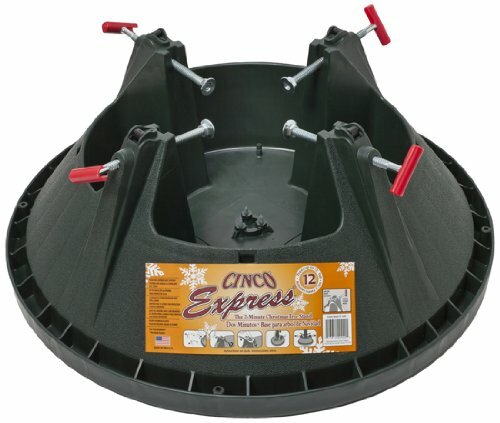 Cinco Plastics Large Instant Up Tree Stand is durably made with hi-impact polypropylene, 1.25 gallon water capacity low wide reservoir and spill guard delivering hassle-free, long lasting use. Features a push-pull locking system, quick setup and release with an easy fill and monitor construction. Contains a patent pending design allowing for lower branches and stand nests tightly for compact displays and better freight rates. Ideal for trees up to 12' high with a 8' diameter. Includes a 10 year warranty.